. "Charles Bronfman". The Canadian Encyclopedia, 20 December 2017, Historica Canada. https://www.thecanadianencyclopedia.ca/en/article/charles-bronfman. Accessed 18 April 2019. Charles Bronfman is the second son of Samuel and Saidye Bronfman and grandson of Yechiel (Ekiel) Bronfman, who brought the Bronfman family to Canada from Russia. The family established a large financial empire that grew out of the liquor business started by Yechiel Bronfman (see Seagram). He is the youngest of four siblings, including Baroness Aileen Bronfman de Gunzberg, Phyllis Lambert and Edgar Bronfman (see Bronfman Family). Charles was born and raised in Montréal. He was educated at Selwyn House School in Montréal, Trinity College School in Port Hope, Ontario, and McGill University. Charles Bronfman and his brother Edgar inherited the Seagram Company Limited. The company was founded by Sam Bronfman in 1924 and merged in 1928 with Joseph E. Seagram & Sons of Waterloo, Ontario, to become Distillers Corporation-Seagrams Ltd. The senior Bronfman built the company into the world’s largest distilling firm (see Distilling Industry). Charles Bronfman joined the company in 1951 and became director and vice-president in 1958. Through the 1960s, the Bronfman family expanded its interests into oil and coal and by 1965 it had operations in 119 countries and sales exceeding $1 billion. In Yiddish, the language of many Eastern European Jews, Bronfman means “brandy man.” The Bronfmans were originally tobacco farmers from Bessarabia (part of modern-day Moldova and Ukraine). The family was not involved in the liquor business until about 1916. Charles Bronfman became the company’s executive vice-president in 1971. In 1975, when the company’s name was changed to the Seagram Company Ltd., and the company’s executive was restructured after a decline in earnings, Charles Bronfman became Seagram’s president of Canadian operations. Two years later, the company was again recording significant net profits and continued to expand into other areas. Bronfman became co-chairman of the company in 1986, a position he held until 2000, when Seagram was sold to the French conglomerate Vivendi. The Bronfman family held substantial shares in the company. Bronfman was a member of the International Advisory Council of Power Corporation of Canada from the time it was created in 1988 until it was disbanded in 2005. Charles Bronfman was the chairman and principal owner of the Montreal Expos baseball club from 1968 to 1990. 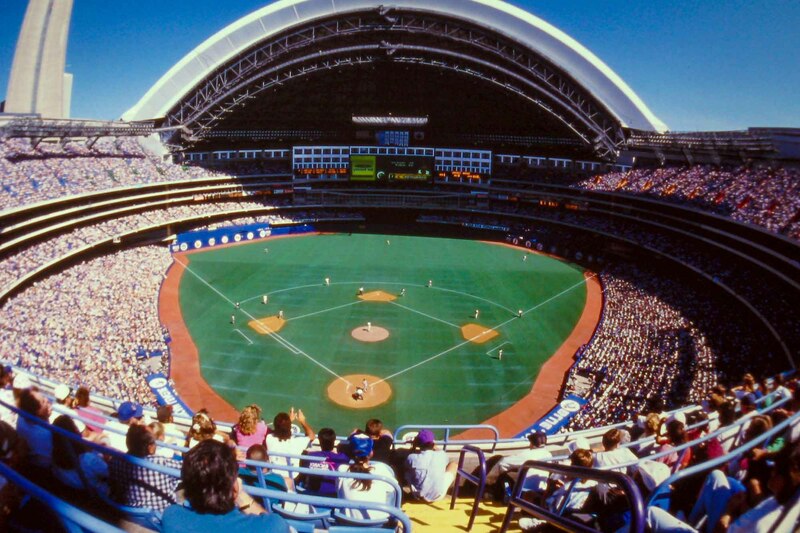 It was the first Canadian team admitted to Major League Baseball’s National League. The team provided baseball fans with many memorable moments over the years, but attendance began dropping at the end of the 1980s. Bronfman sold the team to a consortium of Québec businessmen with government support in 1991, after rejecting several offers from buyers who would have moved the team out of Montréal. The consortium’s managing general partner, Claude Brochu, sold control of the team to Jeffrey Loria in 2000, who sold the franchise to the owners of Major League Baseball. In 2004, the team was relocated to Washington, DC, and renamed the Washington Nationals. Over the years, Bronfman became more and more involved in Israel, so much so that it became a second home. His second wife, Andrea (née Morrison), was a member of an influential Anglo-Jewish family that had a house in Jerusalem. Bronfman’s partner in Israel was his godson Jonathan Kolber, who had emigrated from Canada to Israel in 1989. Together, Bronfman and Kolber built up the Super-Sol grocery chain, investing in the company in the depressed market of 1991, during the first Persian Gulf War. It eventually became the largest supermarket chain in Israel. Bronfman and Kolber sold their investment in Super-Sol during the boom of the late 1990s. Following the sale, Bronfman reinvested the money and was able to buy Koor Industries Ltd., one of Israel’s largest conglomerates. Bronfman was chairman of Koor from November 1997 to July 2006. Andrea and Charles Bronfman Philanthropies Inc.
Bronfman has made significant contributions to cultural, athletic and philanthropic organizations both in Canada at large and in the Jewish community in particular. As the chairman of the Andrea and Charles Bronfman Philanthropies Inc. (ACBP), Bronfman is responsible for a network of international charities operating in Canada, the US and Israel. Among the ACBP’s programs is Birthright Israel, of which Bronfman is co-chairman. The program’s mandate is to provide an educational travel experience to Israel for every Jewish person in the world aged 18 to 26. In Israel, the Karev Program for Educational Involvement works with the education ministry and municipalities of Israel to provide a cultural enrichment program for children who would otherwise have no access to subjects like music and theatre. Also in Israel, Bronfman established the Andrea M. Bronfman Prize for the Arts (the “Andy Prize”) in 2005 — a year before his wife’s untimely death in a traffic accident — to honour Andrea Bronfman’s passion and support for the arts. In 2016, ACBP made its last grants and shut down. By that point, Bronfman had donated approximately $325 million through ACBP and personal donations. In Canada, the CRB Foundation, officially founded on 11 December 1986, began with two guiding principles: to enhance Canadianism; and to promote “unity of the Jewish people whose soul is in Jerusalem.” Bronfman gave particular support to the McGill Institute for the Study of Canada, which was established in 1994 and of which he is an honorary founding co-chair (see McGill University). In 1999, he co-founded and endowed the Historica Foundation, a charity dedicated to promoting Canadian history, which merged with the Dominion Institute in 2009 to become the Historica-Dominion Institute (now, Historica Canada). In 1997, the CRB Foundation won the Pierre Berton Award, Canada’s top history award, for producing its popular Heritage Minutes series, the 60-second mini-movies highlighting Canada’s past. After the award, the Historica Foundation acquired full rights and permissions to distribute and add new productions to the series. From 1999 to 2001, Bronfman served as the first chairman of the United Jewish Communities (now the Jewish Federations of North America), the North American organization created by the merger of the United Jewish Appeal, the Council of Jewish Federations and United Israel Appeal. In 2002, he became a member of the board of trustees of Mount Sinai Medical Center, New York, and from 2003 to 2010 was a member of the board of trustees of Brandeis University, Massachusetts. In 2007, he founded The Charles Bronfman Institute for Personalized Medicine. In 2012, Bronfman signed the Giving Pledge, an initiative spearheaded by Bill and Melinda Gates and Warren Buffett in which wealthy individuals commit to donate more than half of their wealth. Among the many honours and awards bestowed on Charles Bronfman are the Order of Canada; he was appointed as an Officer of the order in 1981 and promoted to Companion in 1992. Also in 1992 he became a Member of the Queen’s Privy Council for Canada. He has received honorary doctorate degrees from several universities, including the Hebrew University of Jerusalem (1990); McGill University (1990); Concordia University (1992); Brandeis University (1992); the University of Waterloo (1995); and the University of Toronto (2000). In 2002, Andrea and Charles Bronfman were awarded honorary citizenship of Jerusalem. They were among the first North Americans to be so honoured. In 2004, Bronfman’s children Ellen and Stephen endowed The Charles Bronfman Prize, an annual $100,000 award given to an individual or team under age 50 whose humanitarian work and Jewish values have made an impact in the world. Charles Bronfman opens up about Seagram's demise: 'It is a disaster'Prominent Canadian-born businessman Charles Bronfman talks about his family business and personal pursuits in this article from the Globe and Mail. The Andrea & Charles Bronfman PhilanthropiesClick on the videos on the left side of the page to hear Charles Bronfman discuss his overall philanthropic vision and plans.